You may have noticed the button above in my sidebar (or if you're ignorant of all things sidebar like I tend to be then you probably haven't!) about The Little White Dove 13/13 Reading Challenge. It's a reading challenge issued by The Little White Dove (duh!) to read 13 books in 2013. If you know even the smallest thing about me you'll know that I get massive lady wood for all things books and reading, so joining in a reading challenge for 2013 was a no-brainer! You can read my first update here, my second update here, and my third update here. Well here we are, two weeks from the end of 2013 and I have completed the 13/13 reading challenge. Actually scratch that, considering I had a baby in the middle of the year I am prepared to say that I didn't just complete the challenge but I smashed it! At the time of the last update I was halfway through The Constant Princess from The Tudor Court Novels series by Philippa Gregory. I unfortunately did not finish it. Unlike other Philippa Gregory novels I did not fall in love with this one. It may have had something to do with the fact that I was heavily pregnant when I started reading it so I just wasn't able to fully concentrate on it like I would usually. Impending birth does funny things to the mind! But while I did not finish that I re-read The White Queen by Philippa Gregory. The mini-series based on the book was on Foxtel and after I started watching it I wanted to read the book again so I went with that. I am not counting it towards my 13 books though as it was one I had already read and I wanted to only read new books (well, new to me!) for the challenge. The third and newest Bridget Jones novel wasn't too bad. It wasn't as awesome as the first two novels, but I don't think it ever could be, it had a lot to live it up to! Now this isn't really a spoiler, as you find out from the get-go, but Bridget is a widow. Her beloved Mark Darcy has died, leaving her with two young children, a 6 year old boy and a 4 year old girl. I found it hard to get in to the story at first as I missed Mark. However I don't think there was any other way she could have done it, there is no way Bridget would have left him. Mark dying was the best way to get rid of him and allow Bridget to start navigating dating in the digital age. After about the first third though it started to get good as Bridget gets back on the horse and finds herself involved with a gorgeous 29-year-old. The old humour is definitely there and I found myself laughing out loud at a few things. You do see the ending coming from a mile away though, and it's pretty much just a re-hash of the way her romance with Mark Darcy played out in the first book. It's still a fun read nonetheless, and the ending is satisfying. 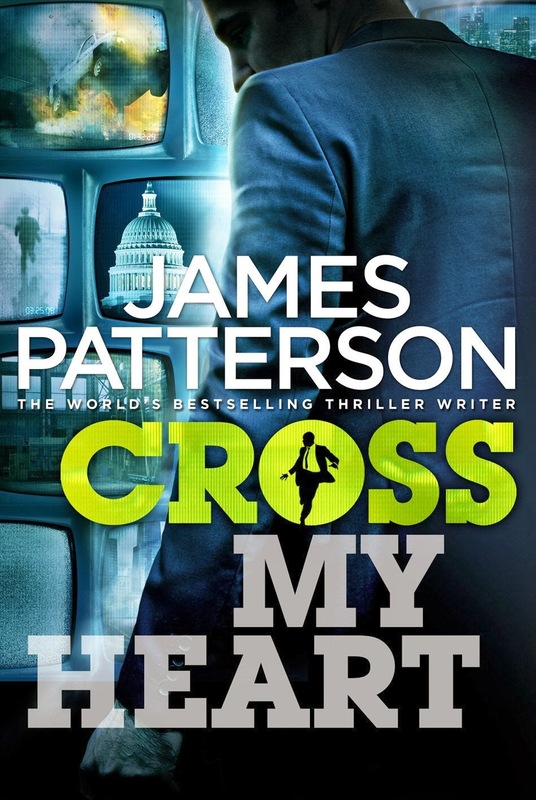 The last book I read to complete the challenge was the latest James Patterson Alex Cross. I won't say much about that. It's the same old, same old, nothing groundbreaking, but it did end on a cliffhanger so I will have to read the next book. I think I may need to read the book before it as well, I think I have missed the previous two, and there was stuff that I didn't quite get that carried over from them. So that's the 13 books that I read to officially finish the challenge. In actual fact though, I have read 17 books this year, as well as half of three others. I also, as mentioned above, read half of The Constant Princess by Philippa Gregory and half of a book called I Am Pilgrim by Terry Hayes. I Am Pilgrim is one I picked up cheap and started reading not long after Zee was born. However I got sidetracked by the new Bridget Jones and haven't gone back to it yet. 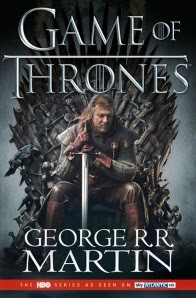 I am also halfway through Game of Thrones, the first book in the A Song of Ice and Fire series by George R. R. Martin. At 800 pages it's a bit of an epic, and I'm only reading a chapter a night so it's probably gonna take me another two months to finish it. Unless by some miracle I am blessed with a couple of hours of kid-free and cleaning-free time to read a big chunk of it! It's certainly a great way to tide me over until season 4 of the TV series starts though that's for sure! I can't wait to read the rest of the series, which will be my challenge for next year. I'm not sure how long the rest of the books are (I think there are 6 or 7) but I figure that's a pretty good reading goal for 2014. Unless I come across another reading challenge that is just too good to pass up. There may however be some study happening next year so if there is I will be reading for that no doubt, leaving me less time for leisure reading. All up I think my fave reads for the year would have to be The Boleyn Inheritance, Bridget Jones and Gentle Birth, Gentle Mothering. And of course Game of Thrones! Stay tuned early next year when I talk about some of the new titles I;m breathlessly waiting for and what else is on my To Be Read list (aside from the Game of Thrones books!). Do you have any reading goals or challenges you want to complete for 2014? Did you do much reading or any challenges in 2013? What was your fave book? Linking up with Essentially Jess for the second last IBOT of the year! Kylie!!!!!! OMG Mark Darcy is dead!?! How did he die? Don't tell me. Christ, I'm going to have to read the book now. I am hoping someone will buy it for me for xmas. I have only read a handful of books this year, but want to change that in a big way next year. You should start an online book club. I'd join in. It is a great idea to do a reading challenge, we too often get caught up and forget the simple pleasure of reading. I am currently reading the first game of thrones book but I keep putting it down and forgetting to read. I might start a challenge next year! I am forever trying to read more. It never happens. This challenge sounds like a good goal to me, even if the full amount isn't read. The last book I read was Burial Rites by Hannah Kent. Brilliant. Dark but compelling. I was able to finish that because I picked it up every time I did a feed but that was in the days when Baby Vick sat still and minded his own business when I fed. Not possible now. Spoil sport! PS - I don't like this dead Mark Darcy idea. Well done you for completing the challenge!! I've a pile of to-read books but I've barely even gotten past the first 2.. maybe I should challenge myself to read finish all by end of next year too.. hmm..
P.S. I didn't realise Mark Darcy died in a later book!! Oh dear! Like you, I didn't get far with Philippa Gregory's latest and abandoned it after one chapter - no tension whatsoever. Just finished 'Two Brothers' by Ben Elton, which I'd highly recommend, although it deals with the horrific subject of the Holocaust. Good day, wonderful document!! I acquired you book marked. Cheers and greatest wants..Hi there, I discovered your web site through ASK while looking for first help to get a heart attack and your publish appears extremely fascinating for me. Awesome job! I'm bookmarking this for some reading inspiration for 2014! Oh my....no more Mark Darcy in tragic Christmas jumpers....am devastated!! Will definitely have to read that now! Ever since I got my iPad about 2 years ago I noticed that I slowly stopped reading, I tried downloading some books onto it but I really must say snuggling up in bed with an iPad is a little challenging. I found I was taking my iPhone and iPad to bed with me and by the time I scrolled through Facebook/Twitter/Instagram/Pinterst and then back through Facebooj in case I'd missed something n the last 10 minutes, I was so buggered and had no time for reading. About 3 months ago I decided enough was enough and now I leave my phone and iPad downstairs in the kitchen when I head to bed and am back reading! I love it! Would also love to H&A of any 2014 reading clubs or challenges!!! Man you are a reading machine! I am so impressed that you read all those books in that time. I only ever get the chance to dream of reading these days. Oh man! I downloaded th preview of bridget jones and only have just started it, so I hadn't worked out what had happened to mr Darcy yet! Silly me I should have scrolled on! I read 4 books this year. 4. It is 2 up on last year so I call it a win!! I am so behind in all the alex cross books. 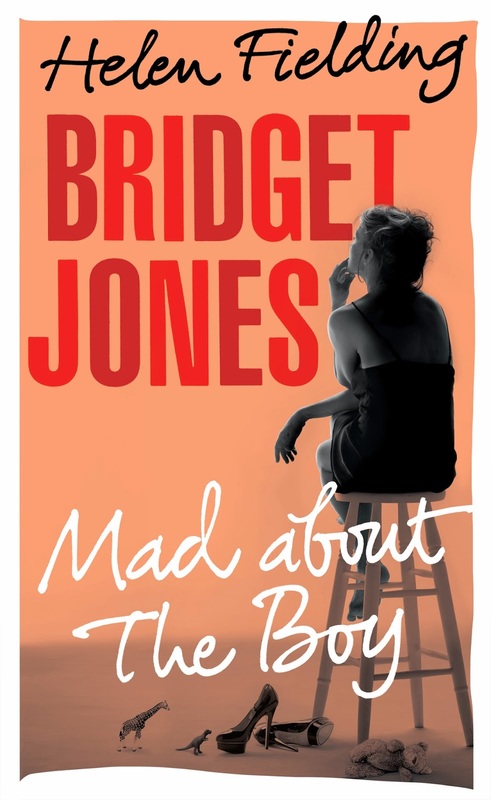 I am dying to read Bridget Jones. If I make it to a big shopping centre I will buy it for myself!! I love John Grisham and hear he has a new one out too. Great reviews. I'm jealous you have the time to read books! I'm flat out reading blogs and I keep buying magazines then never get around to reading them.